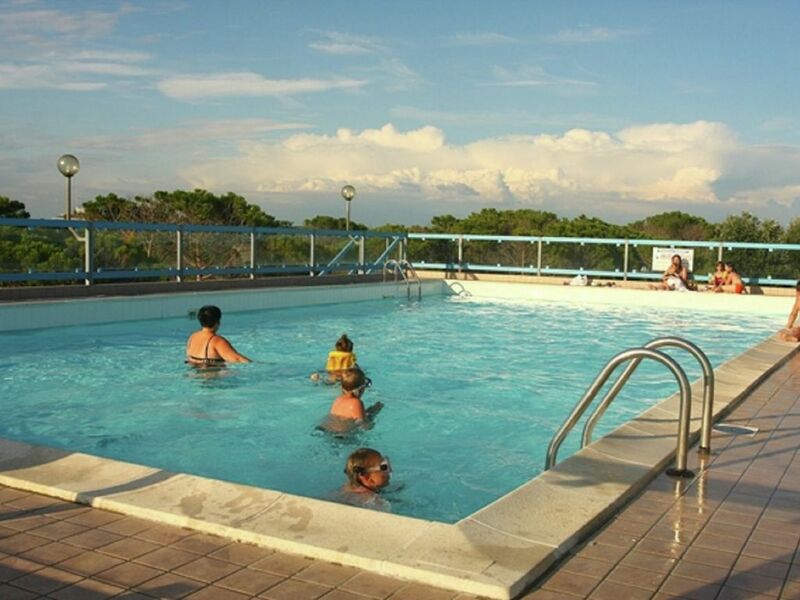 Cozy apartment with pool,in Bibione Pineda. Just 80 m from the beach. The Glenn Residence, equipped with a swimming pool, is situated just 100 m away from the beach and a short walk away from the center of Bibione Pineda. This 3-5-person apartment, located on the first or second floor, features many amenities, including car parking or garage, elevator, safe deposit box, solarium, swimming pool, TV, and garden. Bibione is a beautiful Venetian tourist resort that overlooks the Adriatic sea and lies halfway between Venice and Trieste. It is well-known for its long stretch of soft, fine sand beach. Bibione is a green area, surrounded by a thriving natural environment. The subsoil is rich in thermal water and that allowed the creation of the exceptional Bibione Thermae spa complex, at tourists' disposal. The town is a quiet place, suitable for tourists of all ages. It offers a variety of activities, which can accommodate all needs: several shops, restaurants, bars, pizzerias, locales for young people, seaside clubs, amusement parks and facilities for various sports activities. N.B. The tourist tax is € 0,75/person/night, up to 10 nights. Beach service (with a sun umbrella, a sunbed and a deck chair) included in the price.